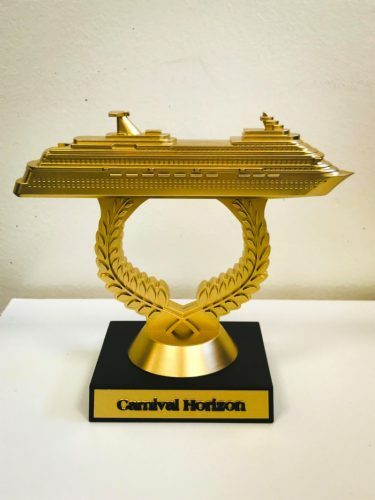 Carnival Cruise Line has made the ultimate step by redesigning the iconic Plastic Ship on a Stick trophy. The much-wanted trophy price has been modernized with a new look. That much wanted Carnival Ship on a Stick has received an upgrade! The trophy has an updated design and kind of looks more modern in today’s world. Carnival Cruise Line Ambassador posted and announced the new look on his popular Facebook page. The response has been pretty good but most people were more interested in commenting on how much they’ve tried to get one and never managed it. Let’s hope it gets easier for those who want to get the newly designed prize. 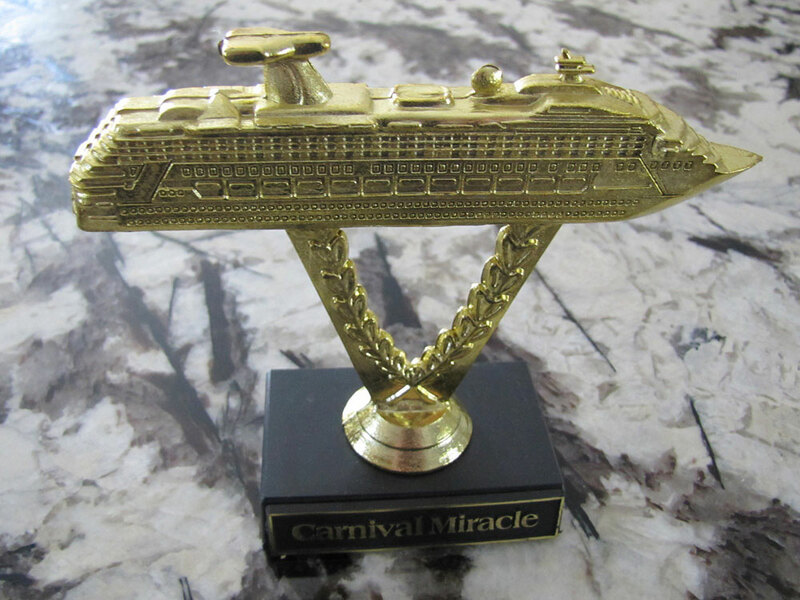 The updated ship on a stick is set to be avaialble on all Carnival cruise ship but of course, will depend on the stock. As you can see it still features the ship nameplate which is essential for many loyal cruisers who like to collect them. As you can see, the new version has a more redefined finish with sharper edges and a different type of coating. In the photo from Carnival, you can even see the design is just about identical to the ship class, we wonder if this is the same for other ships. The old ship on a stick has become an iconic prize across the fleet. To get one, cruisers have to get involved with the fun activities and events held on the cruise ship. Do get in touch with the onboard entertainment staff to find out when the prize is up for grabs. The ship on a stick isn’t sold at the onboard gift shops. Now might be a good time to start a new collection of the Carnival Ship on a Stick! We hope you get a chance to win the new trophy and display it proudly with pride.